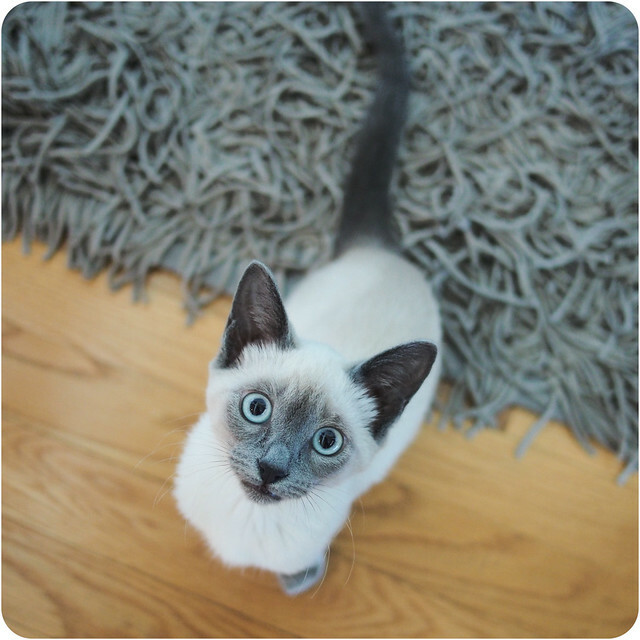 A week and a half ago, we adopted a little female blue-point Siamese kitten. She was found as a stray, and showed up on Petfinder. We happened to be one of the first to write in about her. A few days later, we met her in her foster home and fell in love immediately. She is smart, talkative, and extremely affectionate. She already sleeps through the night and uses her scratching post instead of our couch. It is a lot of fun and very therapeutic to have a cat again after losing our wonderful Mizmo late last year.